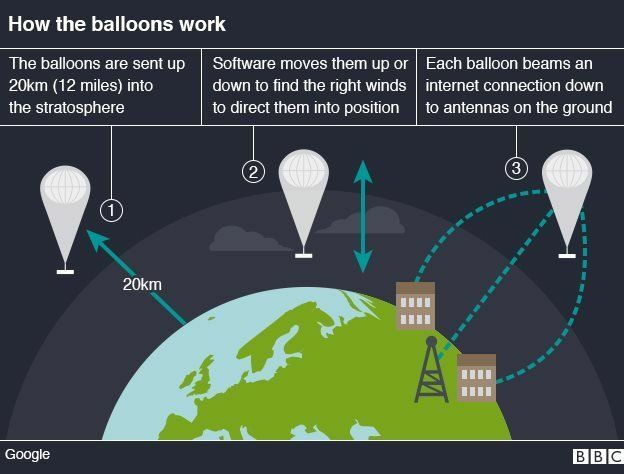 It told the BBC the move would let it trial a continuous data service to people living below the balloons’ path. 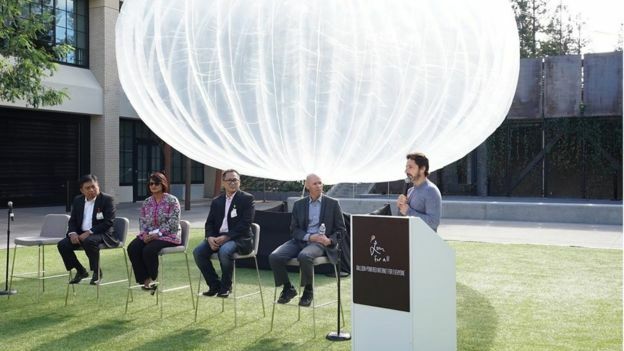 The declaration coincides with the announcement that three of Indonesia’s mobile networks intend to start testing Project Loon’s transmissions next year. 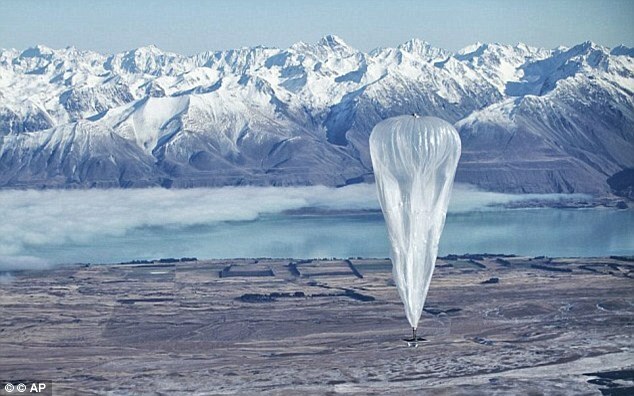 Google first revealed its superpressure balloon plan in June 2013, when about 30 of the inflatable plastic “envelopes” were launched from New Zealand. The original set-up provided 3G-like data speeds, but the kit can now supply connected devices with about 10 megabits a second to connected devices via antennae on the ground. For comparison’s sake, the average 4G connection in the UK is 15Mbit/sec. “In the early days, the balloons would last five or seven or 10 days. 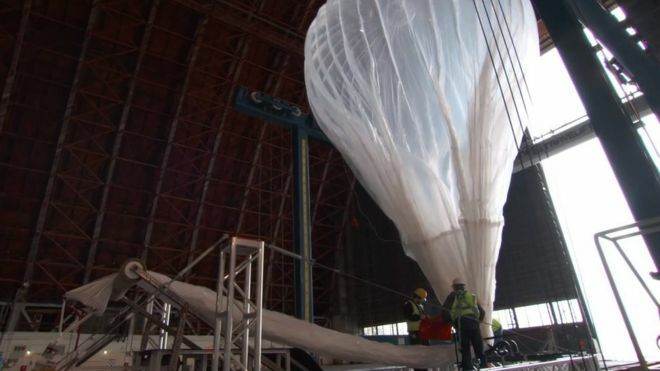 Now we have had balloons that have lasted as long as 187 days,” Mike Cassidy, vice-president of Project Loon, told the BBC. “We’ve also improved the launch process. “[We need] about 300 balloons or so to make a continuous string around the world,” he explained. “As one moves along with the wind out of range, another one comes to take its place. “We hope next year to build our first continuous ring around the world, and to have some sort of continuous coverage for certain regions. 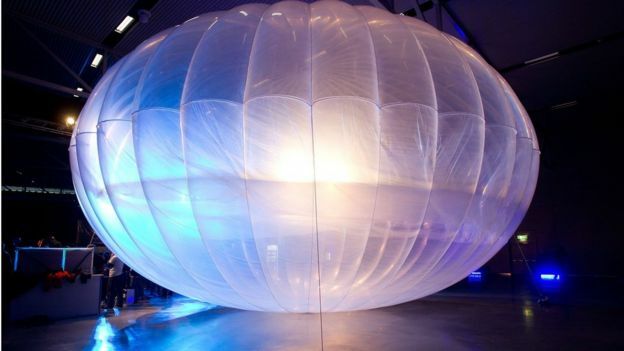 Google – Superpressure balloons are made out of tightly sealed plastic capable of containing highly pressurised lighter-than-air gases. The aim is to keep the volume of the balloon relatively stable, even if there are changes in temperature. In particular, it avoids the problem of balloons descending at night when their gases cool. The effort resulted in the Ghost (global horizontal sounding technique) programme which launched superpressure balloons from Christchurch, New Zealand, to gather wind and temperature data over remote regions of the planet. Over the following decade, 88 balloons were launched, the longest staying aloft for 744 days. 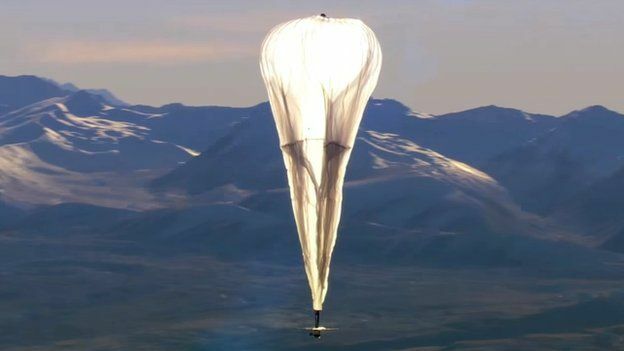 Google suggests that Project Loon would be a cheaper solution than installing fibre optic cables or building mobile phone masts across all of Indonesia’s islands, which contain jungles and mountains. It says the scheme would help address the fact that more than 100 million people out of the country’s 255 million-strong population remain unconnected. “From Sabang all the way to Merauke, many of these people live in areas without any existing internet infrastructure, so we hope balloon-powered internet could someday help give them access to the information and opportunity of the web,” it said in a blog. “[We recognise] Project Loon as one of the latest technological innovations, which would be very advantageous in expanding internet coverage in areas that are difficult to reach and also have a low population density,” said Telkomsel’s president Ririek Adriansyah. One expert agreed the scheme has great potential. “Any country that is struggling to get cabled or land-based wireless infrastructure out to its extreme edges will see satellites or other sky-based internet delivery mechanisms as a viable solution,” commented Chris Green, a tech consultant at Davies Murphy Group. The advantage of a balloon-based system over satellites is that it should ultimately be cheaper to maintain – at least, if all the technological challenges can be overcome. “What may initially seem like a complex delivery method could end up being a very innovative solution to a very difficult problem to solve at ground level,” Mr Green added. It is also pursuing a separate effort codenamed Titan, which aims to use solar-panelled drones to provide the internet to unconnected parts of the world.